A Network for Clinical Data Management (DM) was created in 2010 within the Switching the Poles Clinical Research Network, funded by the Belgian Development Cooperation by gathering DM colleagues from ITM’s partner institutions from the North and South, with the aim of trying to pull the clinical data managers working in low and middle-income countries (LMICs) out of isolation, to share knowledge and common challenges. Our network, the Association for Data Management In the Tropics (ADMIT), is built around both institutional and personal partenrships. 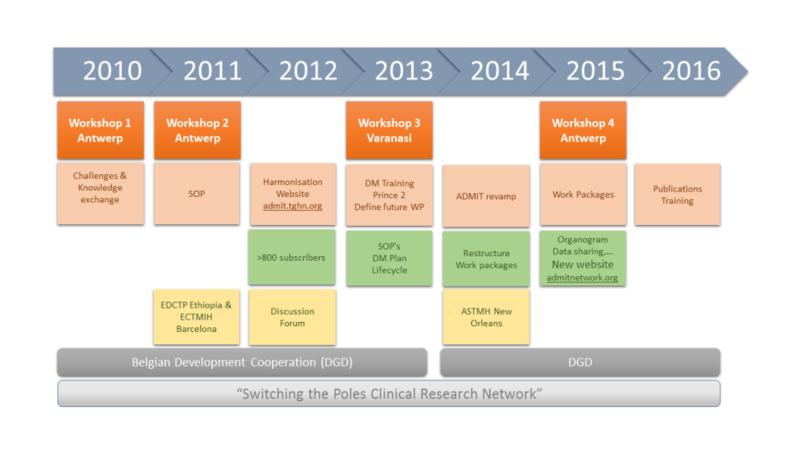 In the past 5 years we have come a long way despite limited resources: The clinical data management landscape has evolved significantly in our institutions, partly due to the ADMIT activities such as hosting workshops, promoting our work through abstracts and a collaborative standardized approach. This has helped to raise the profile of the members within their Institutions, has made collaborative efforts a lot more efficient and up to standard, and additionally demonstrated that data management is moving from a technical activity within clinical research project into a respected discipline performed by dedicated Data Management professionals. To promote Data Management as an essential professional discipline in any clinical research team. 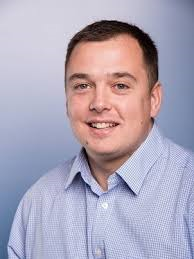 The network is coordinated by Yves Claeys with James Smedley, with the primary role to stimulate activities, review work package progress during periodic TC’s to help produce relevant ouput for the wider community. Anyone who would like to become an active member can contact us with a clear proposal for a work package topic. When relevant and accepted, we will create a space on the website to display your ouput and we hope to invite you on one of our workshops in the future.